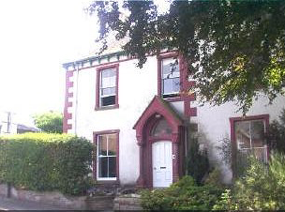 Bank House is a beautiful period house with extensive gardens on a quiet street overlooking the lovely town of Penrith, ideally located for touring the Lake District, Eden Valley, Pennines and Hadrian's Wall. 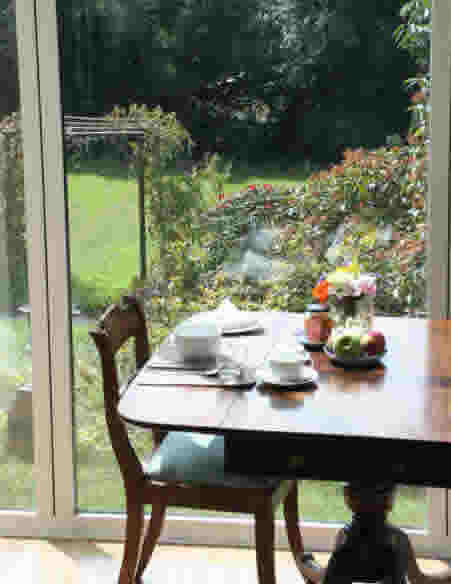 Our rooms are elegantly decorated and furnished (some with antiques) in keeping with a Victorian house. Bank House is just a short walk into the centre of Penrith in easy reach of shops and restaurants but in a quieter setting with parking. We are minutes off the C2C (coast to coast) route and have ample storage for bikes. This is a lovely place to stay for a short or long break. If you are working or need to keep in contact with people we have free wi fi. 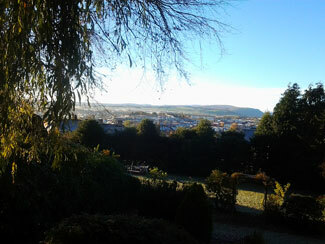 Our aim is to make your stay with us as pleasant and memorable one as possible either long or short. 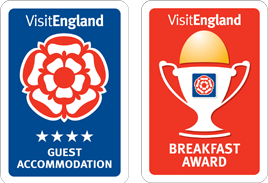 Recently presented with our second Breakfast award from Visit England confirming our very high standard. Locally sourced food such as home made bread using stone ground flour from the Watermill at Little Salkeld, jams and pickles from our famous very local Mr Vikki, as well as Cranstons Cumberland sausage, local bacon, and cooked hams black pudding and locally produced cheeses. We have ambitions to be greener so as well as using all eco products in the establishment we provide Pure Lakes toiletries that are kind to the planet and to you. 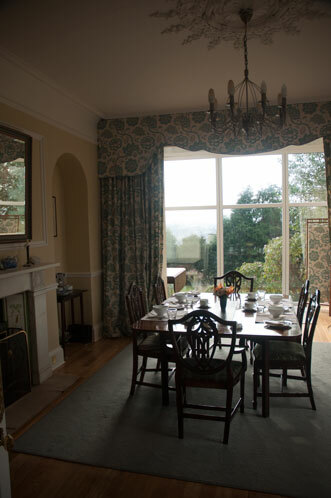 Bank House gives panoramic views of the Lakeland fells, and we are one of the few houses left with its originally laid Victorian garden with a variety of trees and shrubs including winter flowering rhododendrons.